Approximate two third of the volume of the Blender is filled to ensure proper mixing. The "V" blender gives best result for powders due to suitable medium speed and "V" shape of container. It can be used for pharmaceutical, food, chemical and cosmetic products etc. In "V" Blender the powders comes from all sides due to the "V" shape of the product container, hence requirement of RPM is medium. Suitable mainly for powder & granules type material. This type of material gets sufficient continuous movement. Due to the "V" shape of container, even medium movement will result in good quality of blending/lubrication of granules. 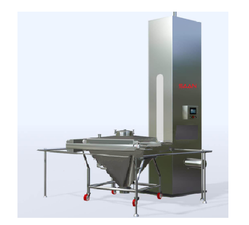 Rotary Drum Blenders are excellent for rapid blending and mixing operation at low speeds. We make sure that at low speed the product's physical structure does not get disordered. They have a high demand all over the industry. Our Insertion Type Blender is known for its high performance and durability. 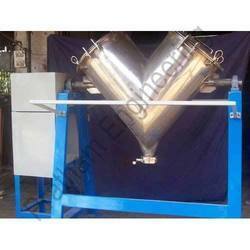 It is highly demanded in the industries such as chemical, pharmaceutical, etc. 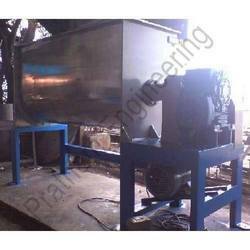 The chemical dryers can be packaged as per our clients specifications. We also specialize in manufacturing and supplying a wide variety of octagonal blenders to our domestic and international clients. 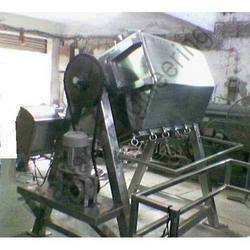 It is a slow speed blender used generally for lubrication or blending of dry powder and granules.